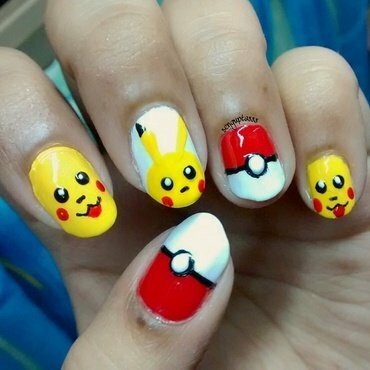 While the world is going gaga over PokemonGo, how can I not have them on my nails..!!! So here is Pikachu, my first Pokemon. Which Pokemon you caught first?